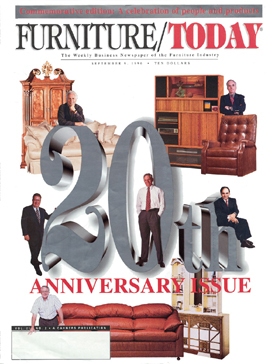 Since 1976, Furniture/Today has been the leading news magazine most trusted by the furniture industry. Its extensive coverage ranges from breaking news stories to in-depth analysis of the events shaping the industry. Featured coverage includes product launches, globalization, marketing trends, stocks and financial news, and original research. Furniture/Today is printed and distributed weekly with news updates published online daily.